Boss and Strandberg Team Up for the New V-BDN Electric Modeling Guitar! Talk about a match made in heaven! Boss and Strandberg have teamed up to create the ultimate modern guitar, combining Boss' rich history of analog effects, amp modeling, and guitar synths, with the cutting edge uniquely compelling designs of Strandberg. New At The Music Zoo! 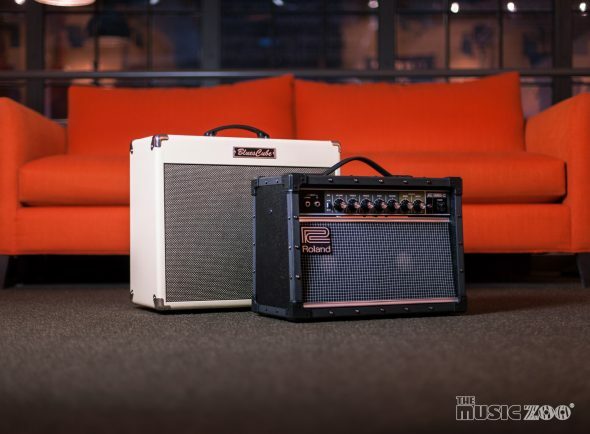 NEW Roland Jazz Chorus & Blues Cube Amplifiers!